This is a recreation of the conversation preceeding this recipe. Preheat the oven to 350 degrees F. Note, makes two loaf pans or 24 muffins (or some combination thereof). 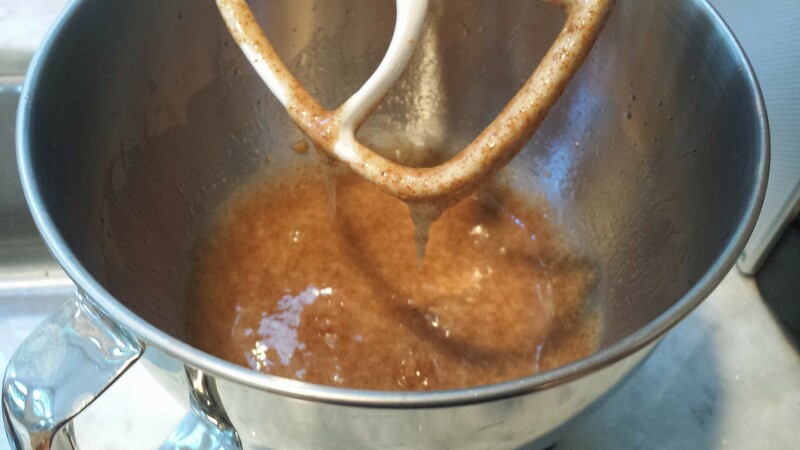 First, in a large mixing bowl, blend the sugar and oil. 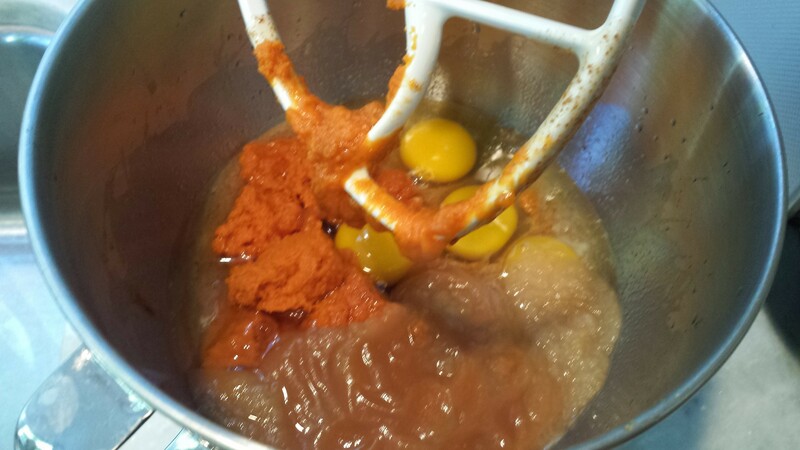 Then add eggs, pumpkin, applesauce, and vanilla and mix well. Then add shredded squash and mix. Next, add the spices and hemp protein powder to the mixture. Finally, add the flour mixture in two additions and mix well. For loaf pan, grease with coconut oil. Fill loaf pan. Or, for muffins, line a cupcake pan with paper or foil cups. Fill the cups to the top. Sprinkle with pumpkin seeds before putting in oven. The pumpkin seeds will actually roast as they bake. Bake for approximately 50 minutes for muffins and approximately 70 minutes for loaves. Check doneness with toothpicks or a knife. I really enjoyed heating the bread just a tad (like 30 seconds in the microwave) and spreading a maple butter (bland maple syrup and ghee or butter) on it. Yum! You could also make a simple maple glaze with water, maple syrup and some confectioner’s sugar. Or have fun by adding dried fruit or different nuts to the mixture. 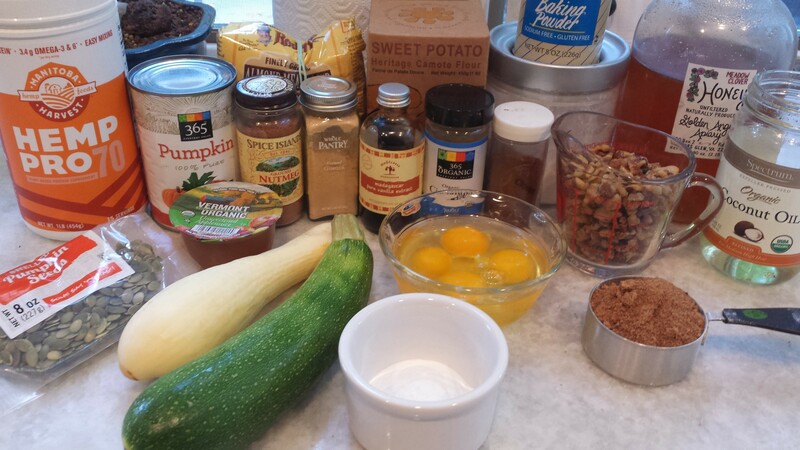 This entry was posted in baked good, breakfast, dessert and tagged applesauce, loaf, muffin, pumpkin, pumpkin seeds, squash, sweet potato flour, walnuts, zucchini. Bookmark the permalink.